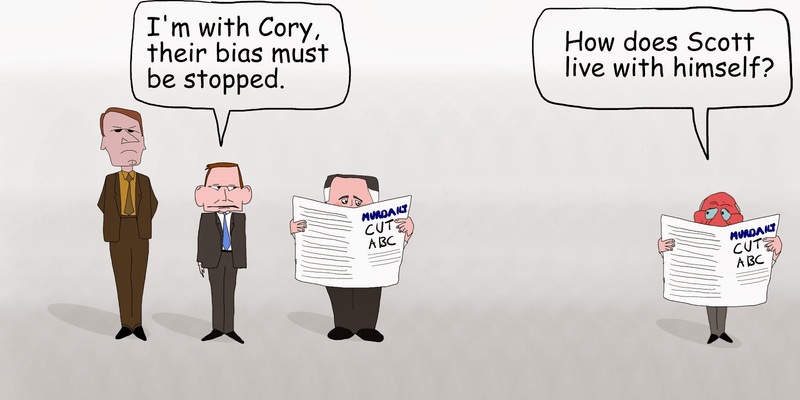 laberal: Cory Bernardi wants to cut the ABC. Cartoon. Cory Bernardi wants to cut the ABC. Cartoon. Pink Batts Inquiry gets underway. Cartoon. Holden goes for the door. Cartoon. Tony Abbott honours election promise. Cartoon.